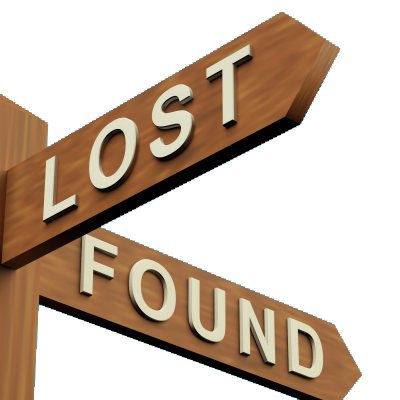 Lost, Damaged or Unavailable | SignPost Install Inc.
Let’s face it things go missing. Whether by mean people, local county regulations, magic or extraterrestrials it happens all of the time. When that happens we need to disclose that the cost for those disappearing acts are the responsibility of the real estate agent. So take care and advise your seller or tenants at your listings to keep an eye out for loose or unattached items that may need attention. If they are made aware that losing items cost you money they may be more diligent. If there is ever a need for a Service Call please do so early to avoid loss or damage. Fees Charged to the Real Estate Agent for Lost, Damaged or Items Unavailable for pick up. A note on ‘Unavailable’ items. If we show up for a scheduled removal and the items are not where we installed them or not easily visible for pick up the fees above will be charged. An easy way to avoid this is to order your removals the day before closing or immediately after. Advise the past owner/tenant/new owner to leave the sign and all items and that they will be removed shortly. If they need to be removed prior to our arrival for any reason request that they be left outside and visible for pick up. TRIP CHARGES. A trip charge of $35 is charged for return trips. This can happen, for example, when an agent requests a removal but we arrive and the owner removed the post and placed it into their garage and we have to return later to pick them up. This charge also applies when an owner turns us away at an install when we initially arrive. Too often agents fails to properly communicate to the homeowner the process and timing of the post install. Communication with them prior can often avoid this very frequent problem.